When you are concerned about value, the Spirit XT8 treadmill might be the best fit for you. This model isn’t the most innovative or the most stylish treadmill on the market – but it gives you a sturdy running surface that will last for as many miles as you need. The Spirit XT8 treadmill is a reasonably priced treadmill with plenty to offer any level of exerciser. One of the strong selling points of this treadmill is the smooth and quiet ride that it provides. With oversized rollers – some of the largest on the market – each step is well-cushioned and comfortable. The long warranties that come with the Spirit XT8 are a plus for a treadmill in this price range. But it’s possible that you might never need to utilize it as the well-designed and solidly constructed Spirit treadmills are generally very reliable. UPDATE: The Spirit XT8 is no longer being produced and sold, although you may just find a used one for sale somewhere. The latest Spirit treadmill lineup consists of the XT185, XT285, XT385, XT485 and newer XT685 models. All of them have been greatly improved, so there's no exact replacement for the XT8. We would just figure out what your budget is and see which of the 5 treadmills appeals most to you. Note that none of the Spirit models is cheap. The base XT185 starts at around $1,399 and the prices increase up to the new XT685 at $2,399. There's a lot of competition in this price range, however, and Spirit excels in some areas like warranty and max user weight, but falls behind in technology. Even the top of the line XT685 has a basic LCD display instead of a touch screen like you find on similarly priced treadmills these days. It also doesn't come with workout tracking capability. Experts praise the Spirit XT8's oversized rollers which decrease belt tension and take the load off the treadmill motor. That translates into a cooler running motor and longer lasting bearings. Add to this the lifetime warranty on the treadmill motor and you have a potentially trouble-free treadmill. Those larger rollers do give you one of the smoothest runs in a treadmill in this price class. And this machine is also, surprisingly, one of the quietest tested. 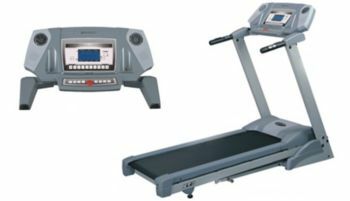 Overall, the Spirit treadmill line offers functional and moderately priced machines of exceptional quality for the price. If you’re looking for a beginner treadmill or you just want a quality, no-nonsense machine without the frills and gadgets that others add on, the Spirit XT8 treadmill is one to consider. 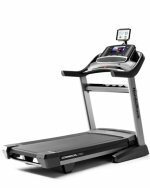 Editor's Note: Since this one is discontinued take a look at the new Spirit XT treadmills to see if one of those machines appeals to you. Also look at similarly priced models from NordicTrack, Sole and Life Fitness to compare what each company offers.